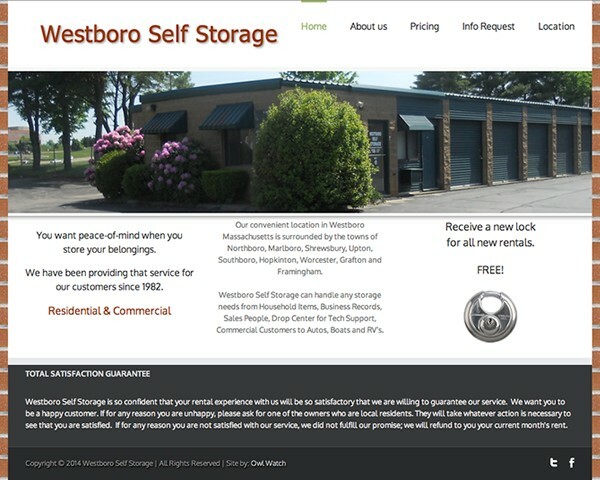 Westboro Self Storage is located in Massachusetts, surrounded by the towns of Northboro, Marlboro, Shrewsbury, Upton, Southboro, Hopkinton, Worcester, Grafton and Framingham. This informational site was designed to be easy for visitors to find a storage solution for their needs. The site is fully responsive and displays on all devices and modern browsers.